An Dental abscess is a collection of pus inside the tissues of the body, usually accompanied by redness, swelling and pain. Pus is a liquid formed by dead white blood cells, bacteria and tissue debris. The white blood cells are sent to an area of the body in response to an infection. The white blood cells and the bacteria “fight”, and when the bacteria “win” by killing the white blood cells with a toxin, pus is formed. In short, a dental abscess is caused by a bacterial infection. There are several different causes of bacterial infection in the mouth, which can lead to an abscess. In most cases, when these bacterial infections are treated early, an abscess is avoided. However, when left untreated, the bacteria continues to spread, and an abscess can result. Cavities – A cavity is a bacterial infection of the hard structure of a tooth. It starts in the outer layer of enamel and proceeds inward toward the hollow chamber inside the tooth where the tooth’s nerves and blood vessels reside. If no treatment is done to intervene, the cavity will extend all the way through the tooth into the nerve. Once the bacteria of the cavity has reached the nerve, it quickly travels to the end of the root and begins to infect the tissues surrounding the root of the tooth, including the jawbone itself. As the infection works its way through the bone, it actually destroys the bone and leaves behind dead tissue, bacterial cells, pus, and inflammatory cells. Once it has spread through the bone, it will enter a soft tissue space. This is when visible swelling occurs. Periodontal disease – Periodontal disease is a bacterial infection of the gum tissue and jawbone surrounding the teeth. It begins with bacterial accumulation in the form of plaque on the teeth. If plaque is not cleaned off, it hardens to form calculus (also called tartar). Both plaque and calculus are irritants to the gum and bone, and an inflammatory response begins. As the gum and bone back away from the bacteria, the bacteria pursue deeper and deeper into pockets formed around the teeth. As with the infection caused by cavities, with no intervention or treatment, the infection spreads until it destroys the bone and reaches a soft tissue space where it can proliferate and cause swelling. Necrosis – Necrosis means tissue death. Necrosis happens inside a tooth when the nerve and blood vessels (called the pulp) die for any reason, such as an injury or the above mentioned infections in cavities or periodontal disease. The dead tissue can cause an abscess to form at the tip of the root. 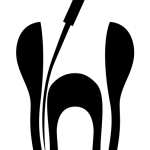 Recurrent infections around old root canals – Even if a tooth has already had a root canal, it can become re-infected. This is usually caused by areas of pulp tissue missed and left inside the tooth by the root canal treatment or by a root fracture, which allows external bacteria to seep inside the tooth. 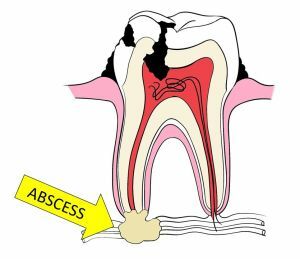 What is the treatment for a dental abscess? Antibiotics – Antibiotics are drugs that fight bacteria, and in the case of an abscess, they are necessary to help our bodies completely remove the infection. Antibiotics may be prescribed to be taken orally; in severe cases, antibiotics could be given in an IV. For dental abscesses, antibiotics are necessary. However, they are not considered the sole treatment for an abscess. They help remove the infection, but they do not treat the cause of the infection. I & D – I & D stands for “incision and drainage”. This is a surgical technique performed to instantly relieve the pressure of an abscess and to remove as much of the pus and bacteria present as possible. In the case of a dental abscess, this is not the final treatment necessary because it only addresses the abscess itself. It does not repair the cause of the abscess. 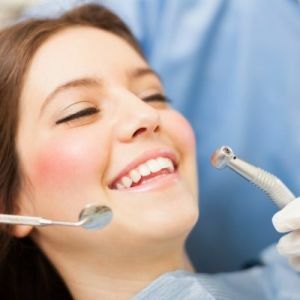 Dental treatment – Dental treatment is the only way to effectively remove the cause of a dental abscess. 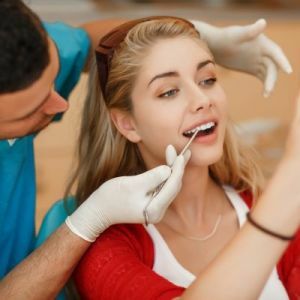 Root canal – A root canal removes the infected pulp tissue from the hollow chamber inside the tooth, cleans the chamber completely, and fills it in with a material that is friendly to our body’s tissues. 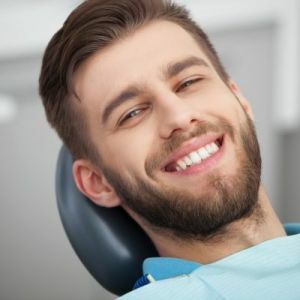 A root canal should only be performed when the tooth has a solid foundation of bone below the gums to hold the tooth in the mouth, and a sufficient bulk of tooth structure above the gums to provide long-term chewing ability. Extraction – If a root canal cannot provide a long-term solution and a tooth has a hopeless prognosis, the tooth MUST be extracted. It can be restored by one of several dental procedures in the future. 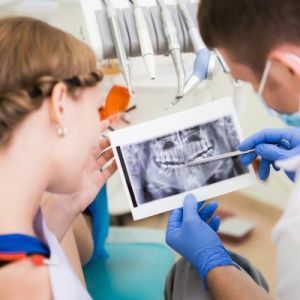 What should I do if I have a dental abscess? Do NOT attempt to alleviate the pressure or pain by squeezing the swelling. For small dental abscesses, it is very tempting to “pop it like a pimple”. This is a dangerous remedy because it introduces even more bacteria into this already infected site. See your dentist immediately. The sooner you seek treatment, the better your long-term prognosis will be, and the less likely you are to have any major medical complications. If you are unable to see a dentist, go to urgent care or an emergency room. It is imperative that you start taking antibiotics and begin some type of treatment to prevent the spread of the infection to other areas of your body. What happens if I don’t do anything about an abscess? The end result of the worst case scenario of a dental abscess is death. You can die from a dental abscess. The way an abscess can kill you is by spread of the infection into three areas of the body: 1) the brain, 2) the throat, and 3) the blood stream. 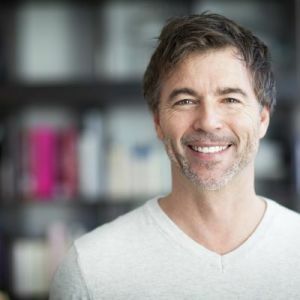 An abscess on an upper tooth can spread relatively quickly to the brain through several sinus cavities and veins, causing death by brain abscess. A dental abscess on a lower tooth can spread into the tissues surrounding the throat and swell to close off the airway, causing death by asphyxiation. Any dental abscess can spread into the bloodstream and create a septicemia or sepsis. 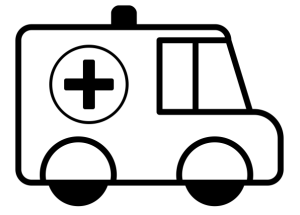 The risk of death by sepsis ranges from 30-80% depending on the patient’s immune system. These are serious consequences and reason enough to seek treatment for any dental problem as soon as you become aware of it. 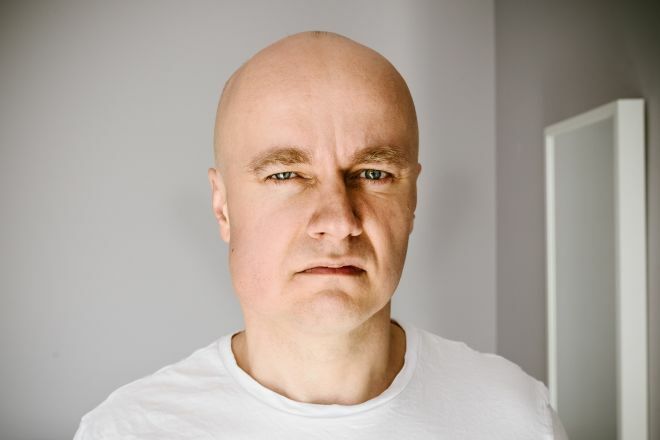 Do you think you may have a dental abscess? If you are experiencing a toothache or any facial swelling, contact us today at (503) 644-8900 to schedule a consultation with Dr. Agarwal.